Protein bars can be expensive. Especially when you want one that is vegan and gluten free. I’ve also been trying to eat less nuts on a daily basis, which makes a vegan, gluten free, nut free bar even more difficult to find and a LOT more expensive. However, they are so convenient and are perfect snacks to hold you over until lunch or dinner. I knew I wanted to start eating more, but really didn’t want to spend the money on a ton of protein bars. Then I discovered this perfect bar. 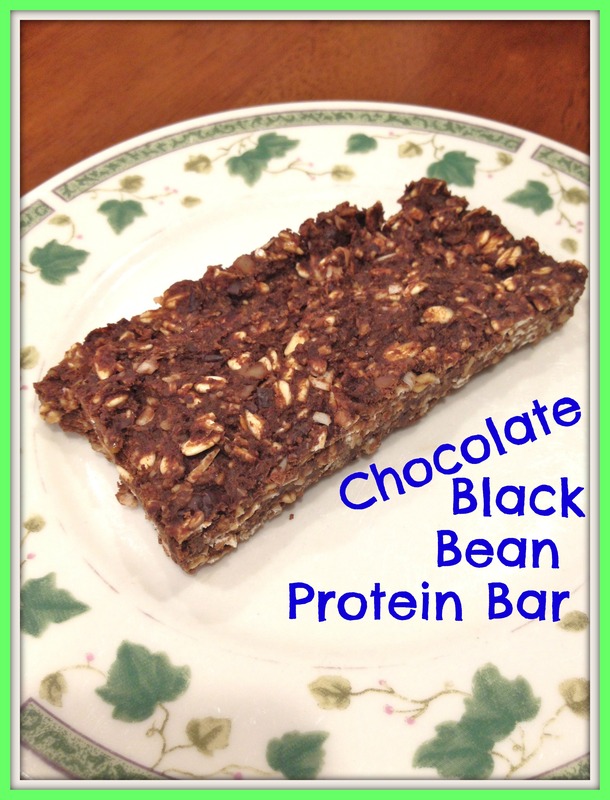 It was tasty, packed with protein, and so easy to make. In a bowl, combine ground flax seeds and water. Allow to sit for about 15 minutes. Preheat oven to 350F and grease a 13×9 inch pan. Set aside. In a food processor, combine beans, flax seed mixture, agave, mashed banana, vanilla extract, and salt and process until smooth. Add in oats, cocoa powder, and brown rice flour and pulse to just combine. Stir in shredded coconut and pulse a few times to combine everything. You now want the consistency to be spreadable, if it is too dry add up to 1/4 cup water. If it is too runny, add up to 1/4 cup cocoa powder, brown rice flour, or a combination of each (about 2 tablespoons each). Pour the mixture into the prepared pan and bake for 15-18 minutes. When bars are done baking, allow them to cool before slicing. I made 16 bars. Not the best picture, but I promise they taste great-these ones actually tasted like chocolate! One thing that is great about this recipe is it is very adaptable. For example, if you want additional spices, like cinnamon, the original recipe tells you how much of a spice to add. He also does this for additional stir-ins, different kinds of sweeteners, or binders. In fact, you can create your very own recipe by choosing each of your favorites. I definitely recommend checking out the link above to try out different kinds of bars. You’ll have a variety of bars that don’t cost a fortune. I recommend storing these in the fridge or freezer. Wrap each bar individually with saran wrap and place in a sealed ziplock bag. This recipe yields 16 bars. One bar yields approximately 120 calories and 4.5 calories. This has been my favorite crust for making pies. It has the most graham cracker taste of regular pie crusts. I personally think this crust tastes more like a cookie though, so it’s kind of like you get two desserts in one! This crust is much healthier than store-bought crusts. However, because it is gluten-free it does get a bit crumbly, but still holds the pie together. Just be careful serving that first piece, which actually isn’t that different than most pies. Preheat oven to 375F and grease a 9-inch pie pan. Put the oats into a food processor or blender and process until finely ground. Add the remaining dry ingredients and blend to combine. Pour into a bowl and stir in the wet ingredients until completely combined. Put the mixture into the prepared pie pan and flatten the crust along the bottom of the pan and along the sides with moist fingers. Bake in the oven for 8-10 minutes, until it is crisp but not overdone. Allow to cool before filling with any pie recipe! 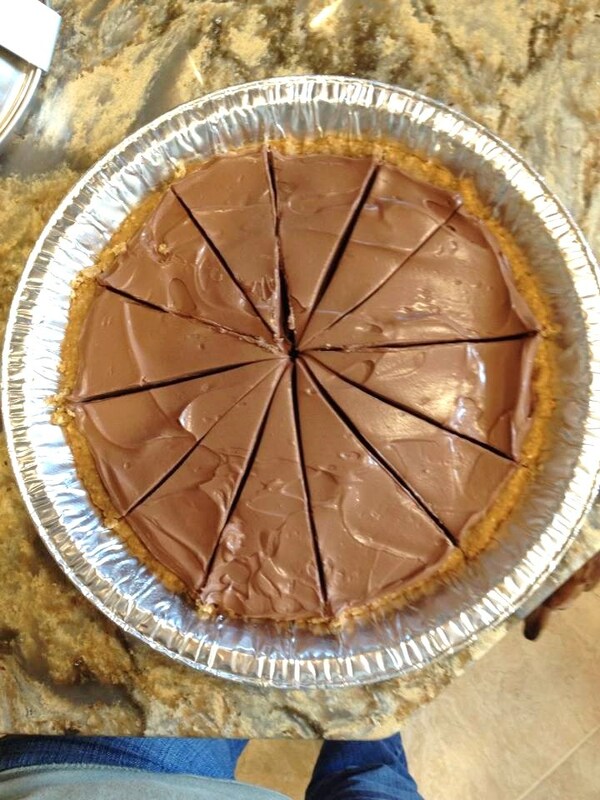 I filled my pie crust with my Chocolate Tofu Pie! Definitely recommended!! This recipe, for the pie crust, yields approximately 8 servings. One serving yields approximately 100 calories and <1g protein. I love soft cookies! However, most cookies have a lot of sugar and other unhealthy ingredients. 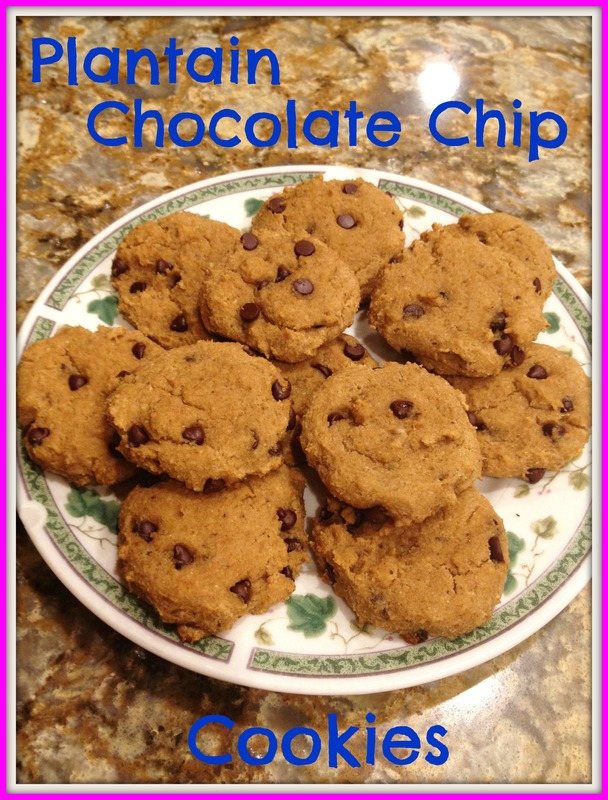 These cookies use much more natural and healthy ingredients to get that soft cookie texture with a great taste! However, be aware that these still do have a lot of sugar and fat, but that’s healthier sugar and fat thanks to the plantain and coconut oil. Preheat oven to 375F and grease a cookie sheet or line it with parchment paper. Peel and roughly slice the plantain and puree it in a food processor. Add all other ingredients and blend until smooth, scraping down the sides of the blender as needed. Scoop out the dough into round balls and place on the cookie sheet. Lightly press down on each dough ball to form circular cookies. I was amazed at how much these looked like real chocolate chip cookies without eggs, milk, butter, unhealthy sugar, and unhealthy oil. Plus, I absolutely loved the plantain taste. I can’t wait to make this delicious treat again! I was able to make 12 cookies. Each cookies is approximately 65 calories. I always add bananas to my yogurt parfaits. Sometimes I add other fruits as well. This time I was craving pomegranate seeds. I also wanted some added crunch and protein so I added pumpkin seeds and hemp seeds. 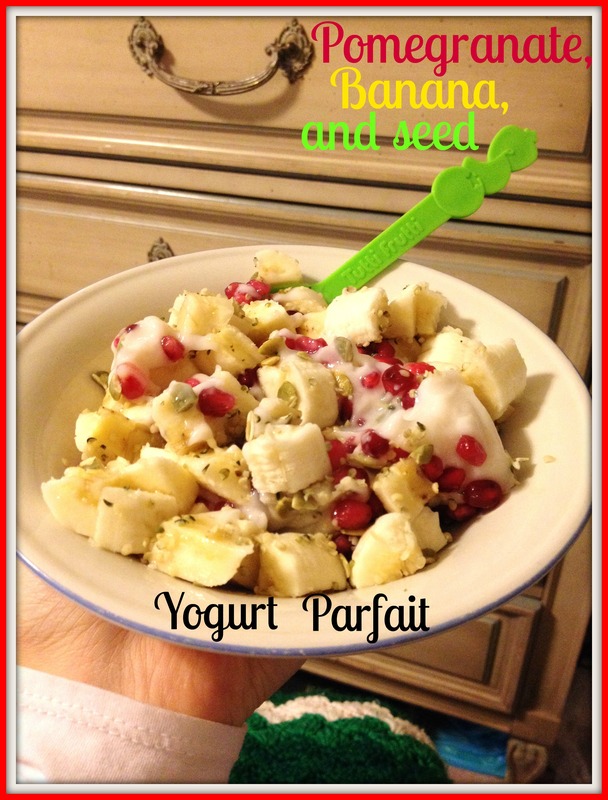 This yogurt parfait was so delicious, I just had to share because I know I’ll be making this again! 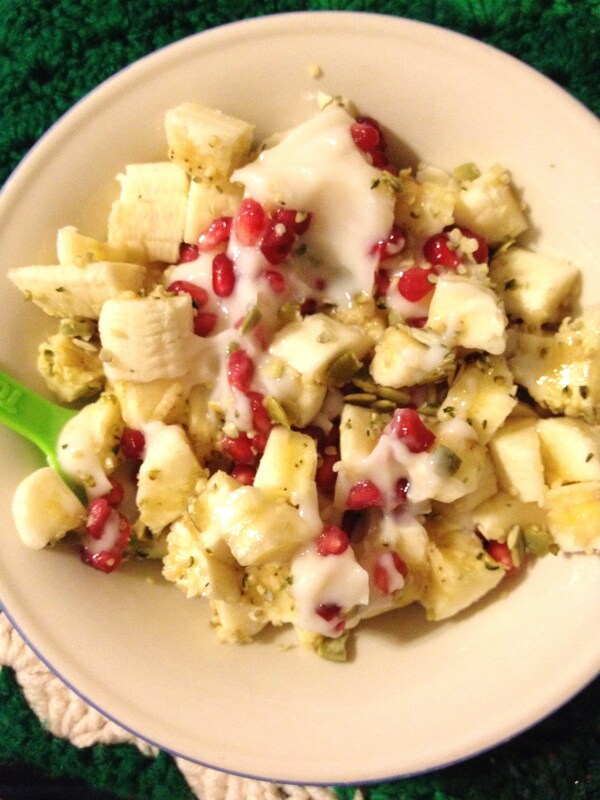 Plus, I though the red pomegranate seeds made this look so pretty! Directions: Mix all ingredients in a bowl, or if you want it to be pretty you can layer the ingredients in a tall glass. I love that yogurt parfaits can be made with any ingredients. I loved the flavor of all these ingredients together, but feel free to add any fruits, seeds, or even nuts to make your own yogurt parfait! 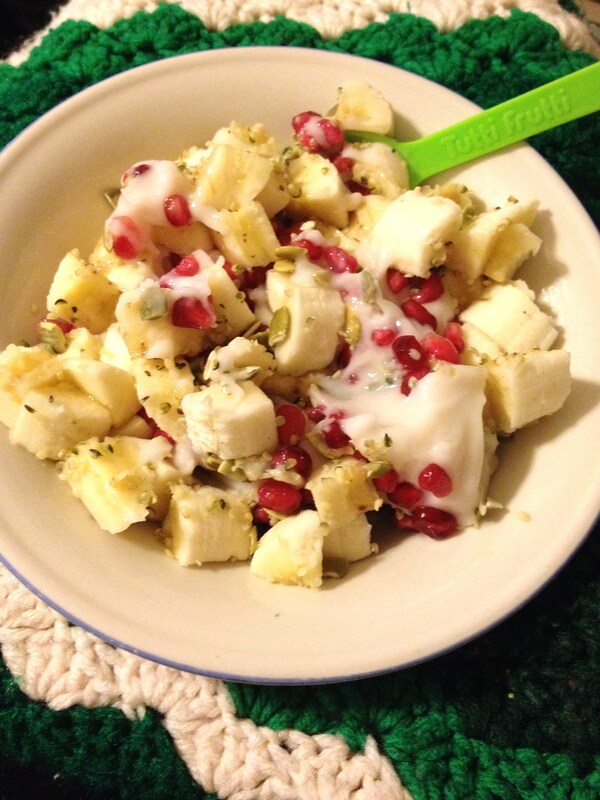 You can even try adding a flavored yogurt! 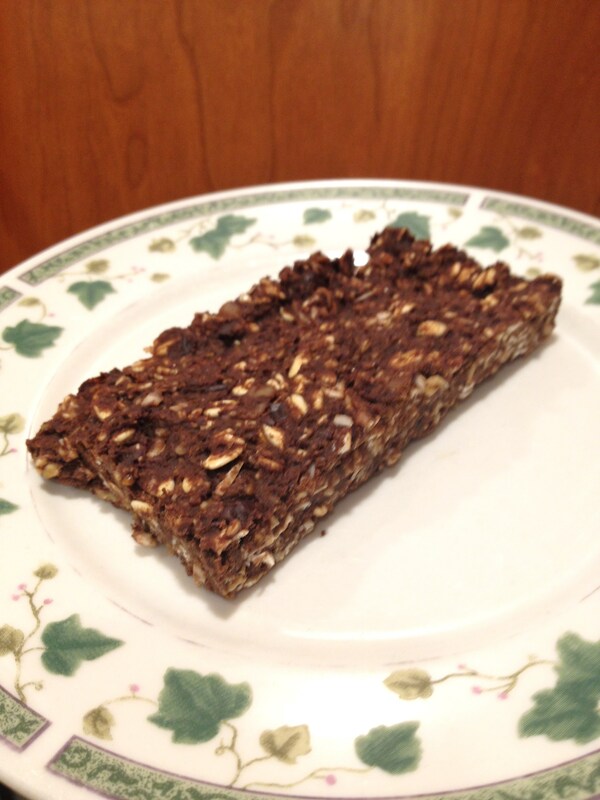 Or add some protein powder, using any flavor, for a great post workout snack.